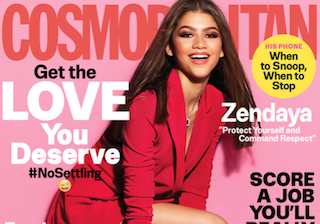 Zendaya is Cosmopolitan’s latest cover star. In the accompanying interview, the 19-year-old came across as wise beyond her years. When discussing her return to Disney, Zendaya said she wanted to use her position to improve the network’s programming in a meaningful way. The July issue of Cosmo hits newsstands June 7.